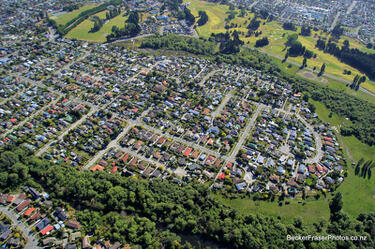 An aerial photograph of Kingsford Street in the Horseshoe Lake residential area. 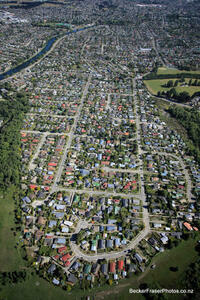 An aerial photograph of Viscount Place in the Horseshoe Lake residential area. 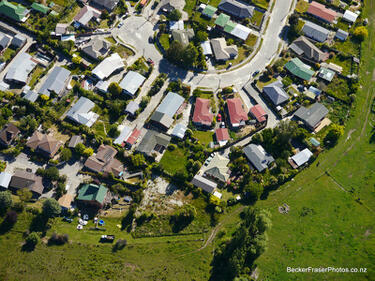 The photograph has been captioned by BeckerFraserPhotos, "Viscount Place and Alice Street are leading off Kingsford Street, Horseshoe Lake". 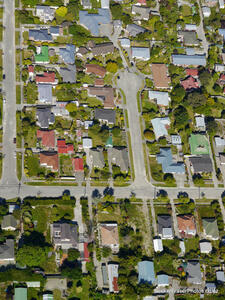 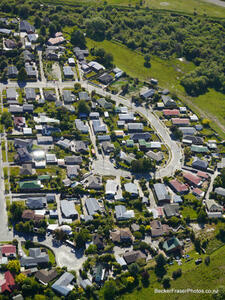 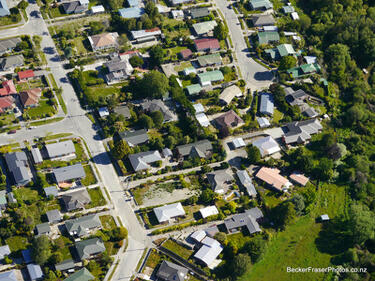 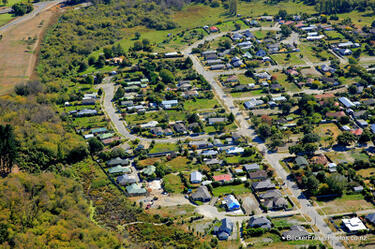 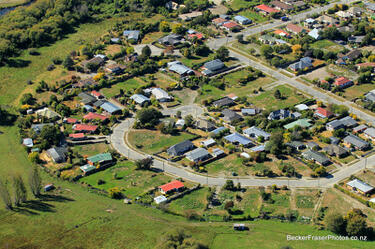 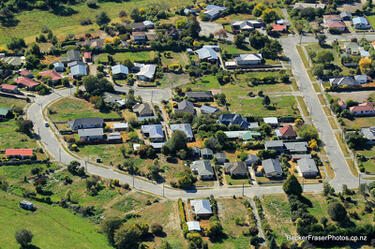 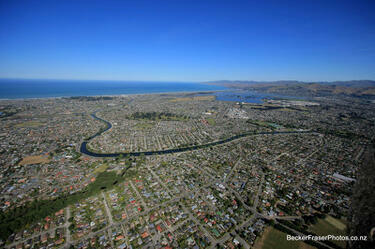 Photograph captioned by BeckerFraserPhotos, "An aerial view of east Christchurch". 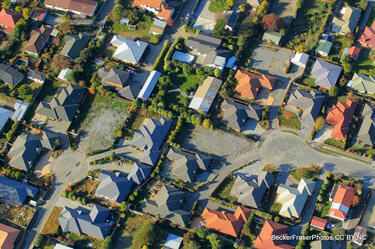 An aerial photograph of a cul de sac at the end of Goodman Street in the Horseshoe Lake residential area. 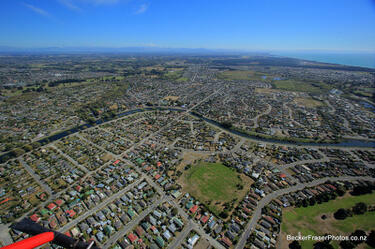 An aerial photograph captioned by BeckerFraserPhotos, "A aerial view looking north-west over Christchurch with the River Avon in the foreground and Horseshoe Lake in the centre of the photo". 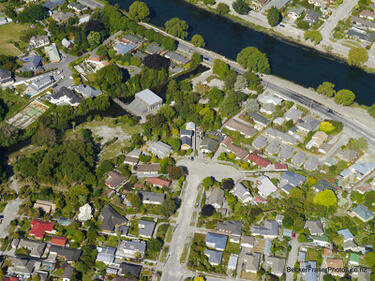 An aerial photograph of Tasman Place in the Horseshoe Lake residential area. 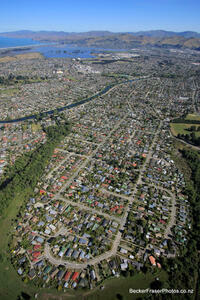 An aerial photograph of the Horseshoe Lake residential area. 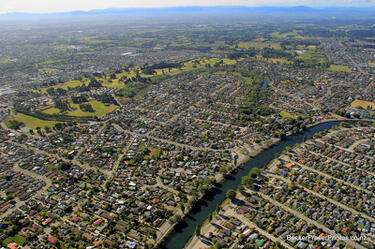 The photograph has been captioned by BeckerFraserPhotos, "Kingsford Street on the left and the end of Tasman Place on the right, Horseshoe Lake". 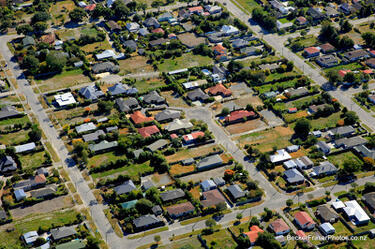 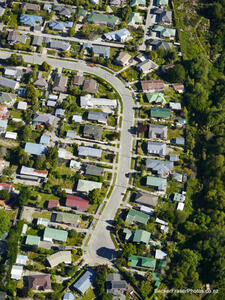 An aerial photograph of Burwood. 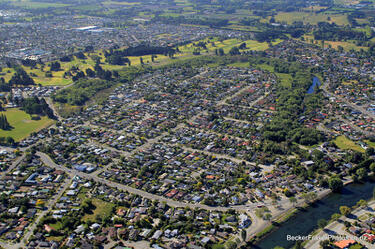 The photograph has been captioned by BeckerFraserPhotos, "This area of houses circumscribed by a green belt in a horseshoe shape is called Horseshoe Lake, and is all residential red zoned". 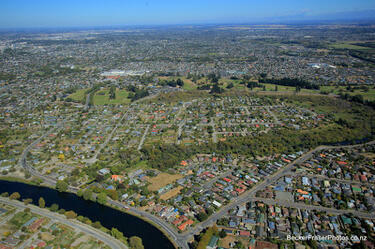 An aerial photograph of Horseshoe Lake. 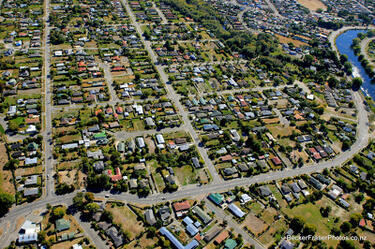 All of this land is red-zoned.